SWEMA is dedicated to providing stormwater solutions that keep the receiving waters clean. 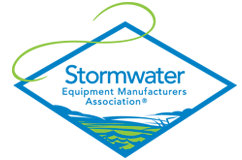 As part of the educational process, SWEMA provides various regulatory agencies input on the policies and regulations that affect the stormwater industry. SWEMA invites you to become involved in this process by joining our association today. For more information about SWEMA, go to the SWEMA Membership page.